Magical things happen whenever there is pixie dust being sprinkled about…At Walt Disney World pixie dust was part of the construction process and continues not only in the ongoing construction and refurbishments but also in the Cast Members who are always ready to put on the show! Unfortunately you experience some guests at Walt Disney World who do not care about anyone around them and will do whatever they want even if it may effect a small child who may be visiting for the first time. I hate to see this but not everyone is like this. 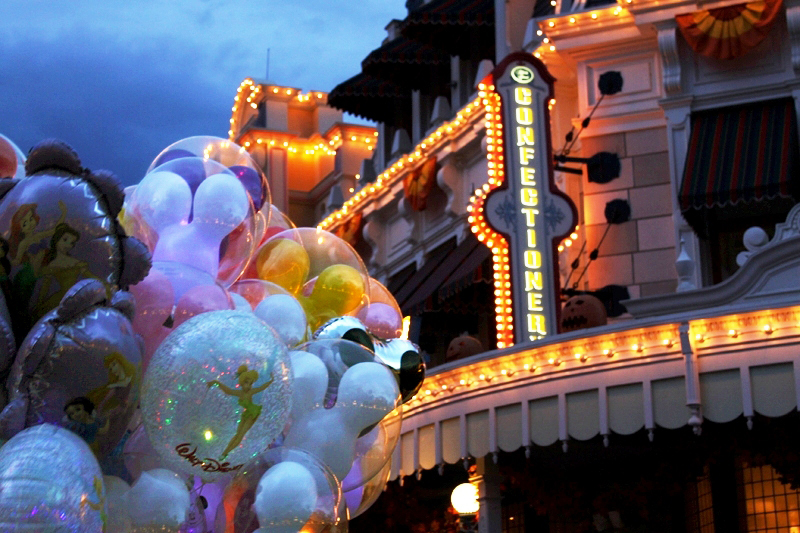 I think the Walt Disney environment can sometimes bring out the best in people. Something about being around all that pixies dust puts me in a good mood! Even sitting here blogging and listening to IllumiNations sound track puts me in a fantastic mood! I know the effect Walt Disney World can have on a young child or even a grownup. That is why I like to look for ways that I could possibly “plus” someone’s experience at Walt Disney World. I have been on the receiving end of another guest spreading pixie dust and I haven’t forgotten it despite it happening during a trip over 10 years ago. 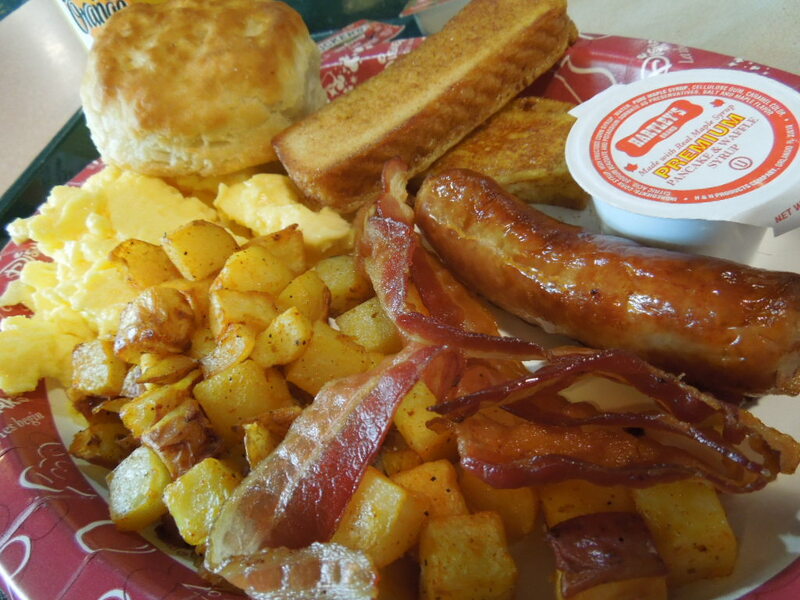 One of the reasons for this blog is the hope that I might help someone have a more memorable Walt Disney World experience. I like to keep this mindset while I am in the World as well. Yes, I want to do everything I can to make my trip more memorable and special but part of that can be doing something to spread a little pixie dust in someone else’s trip. 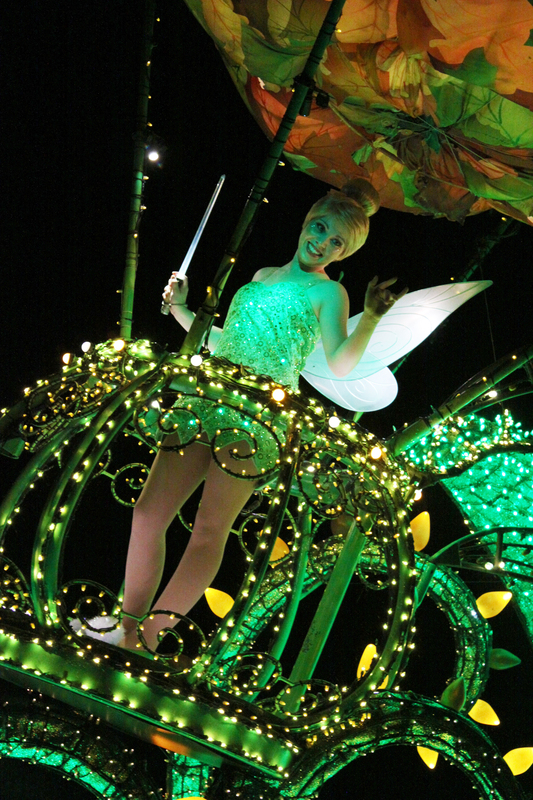 Tinker Bell doesn’t have to have all the fun! Here are some suggestions on how you can play pixie and not only create magic for others but they could possibly end up being some of your fondest memories as well! 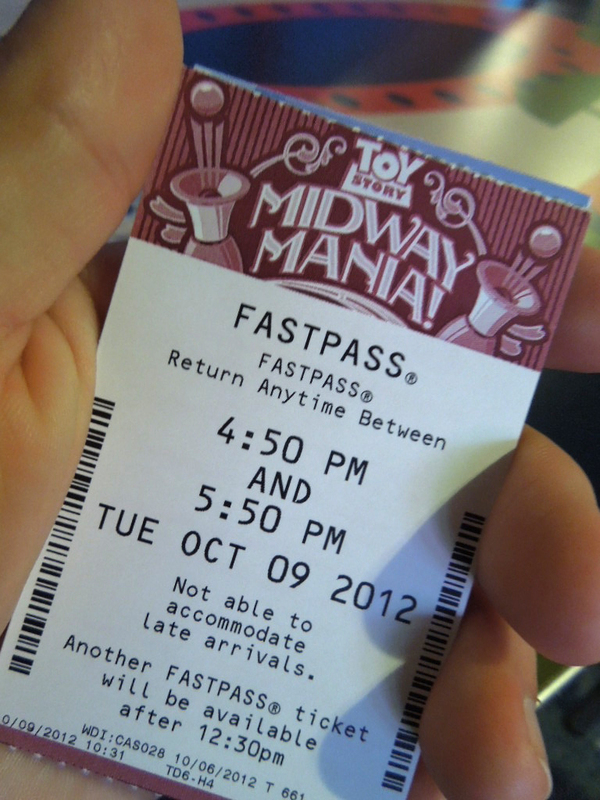 Give a fastpass away. One of my favorite things to do is eaves drop onfamilies while waiting in the queues. I love to hear what they are saying about their experience, especially the little ones! Sometimes you may overhear families mention skipping Toy Story Mania because the wait is 2 hours and there are no fastpasses left. If you were smart you ran to the back of the park, nabbed some fastpasses and then rode it. As much as you may want a rematch with someone or to see if you can beat your old score, think about how you could change someone’s day or even vacation by pulling those coveted passes out and handing them over. Give up the spot you had staked for over an hour for a parade, Wishes, or IllumiNations. I am short so most 8 year olds have no trouble seeing over me. Again, sometimes if you eaves drop (it’s no creepier than people watching) you may find out those assembling around the ground you claimed may not have ever experienced the show before. 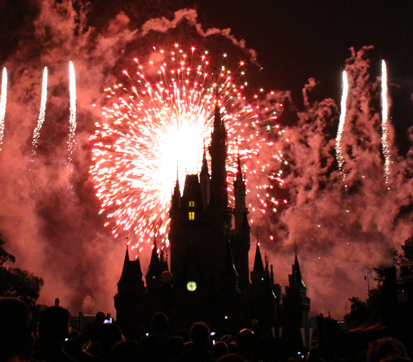 The night time shows are some of my favorite experiences in all of Walt Disney World so I know the impact they can have which is why I want people to have the best possible experience of these shows, especially if its their first time. I would give up my prime spot to anyone who is watching for the first time, whether they are a child or adult. In fact, some of my favorite people watching times is during these shows. I love to watch the expressions on their faces! This is priceless for first timers or for little ones! Just be friendly. For the most part people are happy to be there and generally there is a heightened sense camaraderie among Walt Disney World guests. Strike up a conversation with others on the buses going to and from the parks. I love to look for people with “1st Visist!” buttons on! I love to hear what their experience has been like so far and offer them tips that might help them on their magic journey! It is especially fun to ask little ones wearing the buttons coming back from the parks how their day went and what they enjoyed the most! Give a meal away. If you have ever been on the dining plan you know how much food Disney tries to force down you! You may find yourself with credits left over at the end of your stay and you can’t possibly take another bite. Instead of going home with unused credits, find someone and ask them if they would like a free meal. Give a balloon away. For many kids some of the simplest things can make their day. One of these simple things that seem to fascinate the little ones are the Mickey ear balloons. It may cost you $10 but it can be priceless for some kids. These are just a few suggestions I thought of and have picked up from other fans in the WDW community. Feel free to leave any suggestions in the comments below on how you can spread pixie dust as you tour the World and I encourage you to keep your eyes and ear open for other ways to make someone’s day or even vacation more magical while visiting Walt Disney World! This entry was posted in Hidden Treasure, Trip Planning and tagged Disney Dining Plan, fastpasses, Illuminations, Mickey ear balloons, pixie dust, Toy Story Mania, Walt Disney World, Wishes. Bookmark the permalink. I love this post! It is really special to make someone’s day and I don’t think a lot of people who go to Disney expect to get special treatment from anyone, be they cast or guests. That’s what Pixie Dust does! I have heard of families taking an umbrella stroller to the parks with them for their trip, and then on the last day, give it away to someone who didn’t think they’d need one. I think this happens more with families of older children who rarely use a stroller anymore, but Disney is just too much walking. So instead of taking home a stroller they won’t use, they give it away! If you ever find ponchos on clearance, you could grab a few extras and keep them on hand to make someone’s day when one of those quick Florida showers rolls in. When we went, one guest had Mickey stickers with him and gave some to Jared while we were waiting for the Harmony Barber Shop to open. I think this would be a great idea for all the Disney movie club stickers we’re always getting in the mail! Cut them apart and give tem to ramdom kids throughout the day. Love these ideas! Especially the ponchos! That is a cheap, easy way that could possibly change someone’s potentially glumy day. Or it may make some parents dread Splash Mountain a little less while waiting in the queue….Kali River Rapids….there’s no hope either way on that one!